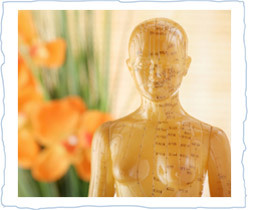 Chinese Medicine is a holistic practice which seeks to bring the whole person into balance. Unlike western medicine, acupuncture and Chinese Herbal Medicine treat the underlying cause of illness in addition to the symptoms, and are helpful not only for disease recovery but also for illness prevention. At Nest, we’ve found this practice to have positive effects in treating a myriad of conditions. 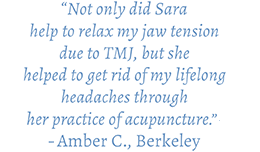 On a basic level, the relaxing experience of an acupuncture treatment directly addresses the stress and anxiety of our modern lives. In addition, Nest practitioners can effectively treat acute conditions, chronic illness, or general health maintenance. Your appointment at Nest may include lifestyle and nutrition counseling in addition to herbal prescriptions and acupuncture to support your body’s movement towards optimum health. Infertility, menopausal symptoms and premenstrual syndrome. Anxiety, depression, insomnia, nervousness and neurosis. 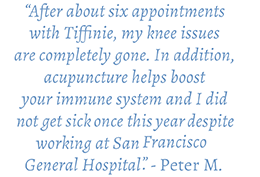 Arthritis, back pain, muscle cramping, muscle pain/weakness, carpal tunnel, neck pain and sciatica. Headaches, neurogenic bladder dysfunction, Parkinsonon disease, postoperative pain and stroke. Abdominal pain, constipation, diarrhea, hyperacidity, GERD and indigestion. Cataracts, gingivitis, poor vision, tinnitus and toothache. Asthma, bronchitis, common cold, flu, sinusitis, smoking cessation and tonsillitis. Acute pain, addiction, migraines, allergies, sports medicine, skin disorders, blood pressure regulation, chronic fatigue, immune system tonification and stress reduction. For more information about the benefits of Acupuncture and Chinese Herbal Medicine for various conditions, see our resources section.